We envision a state with social, political and economic gender equality. Through our grantmaking program, we fuel positive change in our communities by supporting the most innovative and promising solutions to issues related to gender equality today. We know that when women and girls prosper, communities thrive. The 2019 Grant deadline was Friday, March 15. New Hampshire organizations designated as tax-exempt under Section 501(c)(3) of the Internal Revenue Code are eligible to apply. 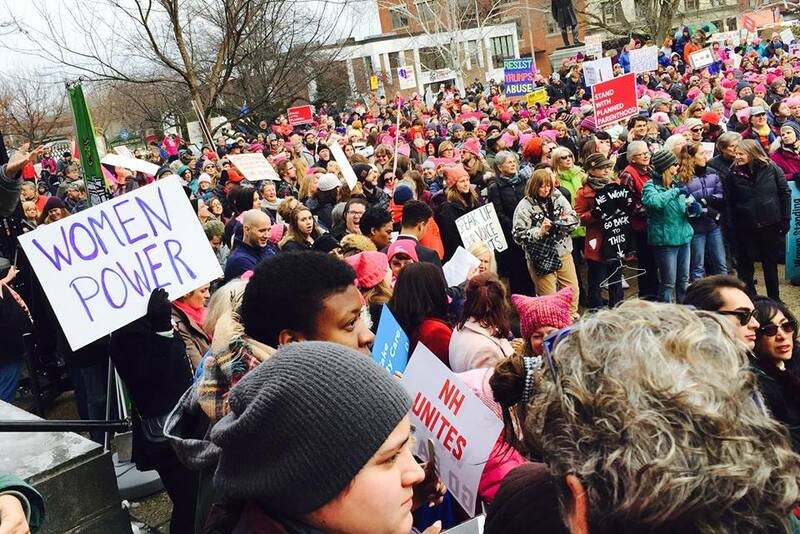 Please note: Organizations which have been funded three years in a row by the New Hampshire Women’s Foundation are requested to take a year off from applying. Our grantmaking is strategic and focused. We are interested in efforts that: address the root causes of problems faced by women and girls; result in long-term change for women and girls; challenge systemic barriers faced by women and girls; promote the empowerment and leadership of women and girls; demonstrate collaboration among women’s and girls’ organizations; raise consciousness of the status of women or girls or raise awareness of issues of concern to women or girls; impact public policy in support of the full and equal participation of women and girls; and encourage philanthropy by women and girls. Examples of some of the things we fund are: New or special projects or programs that benefit women and girls, general operating support, and organizational capacity building. Grant awards are typically between $1,000 and $5,000 and are highly competitive. Examples of some of the things we don’t fund are: Scholarships to individuals; academic research; medical procedures; donations to capital campaigns; sectarian, religious or partisan activities; one-day conferences; and activities that have already occurred. Please note: Organizations which have been funded 3 years in a row will not be funded for a fourth consecutive year. The New Hampshire Women’s Foundation understands that many non-profits are stretched to the limit in regards to staff and resources, and tries to make the application process for a grant as simple and straightforward as possible. Because of this, we have limited the number of questions we require and have strict word limits to keep answers concise. Grants awarded are typically between $1,000 and $5,000. To get started, download this helpful application guide. Step One: Make sure you are eligible to apply by reviewing the information above. Step Two: Answer the 5 questions below about your application, being sure to stay within the word limits. Project Executive Summary (100 words): Please briefly describe your project, its importance and the results you expect from this work. Please indicate what funding will be used for, and the number of people impacted. Need (250 words): Describe the need or opportunity (community or organizational) for your proposed work. Why is now a strategic time for the Foundation to invest in this work? Project Description (250 words): Briefly describe the project/proposed work, including major activities, timetable and staff qualifications related to the work. Results (250 words): If your project is successful, what will be different as a result of your work? What outcomes do you expect? How will you track them? Sustainability (150 words): If this work is ongoing, how will you sustain the work beyond this grant? If it is not ongoing, how does it advance organizational goals and/or produce significant community benefit? Step Four: Watch for an email notifying you of the status of your application by late-June. Step Five: If you receive a grant, you will be required to submit a final grant report within one year of receiving funding. If you are a grant recipient for the New Hampshire Women’s Foundation, we require a year-end report. We are also pleased to provide an opportunity for grantees to share their work with the community at our annual Women Building Community Luncheon. If you have any questions, please call our office at 603.226.3355 or email Ellen Koenig, Director of Grantmaking, at ellen@nhwomensfoundation.org. Thank you!